This is hunting week so we’re being careful about where we walk. We stay in our valleys – off the tops of the ridges. Danny and Brad are hunting on the days we’re not here. The deer population here is much too high so we’re hoping they’re very successful. 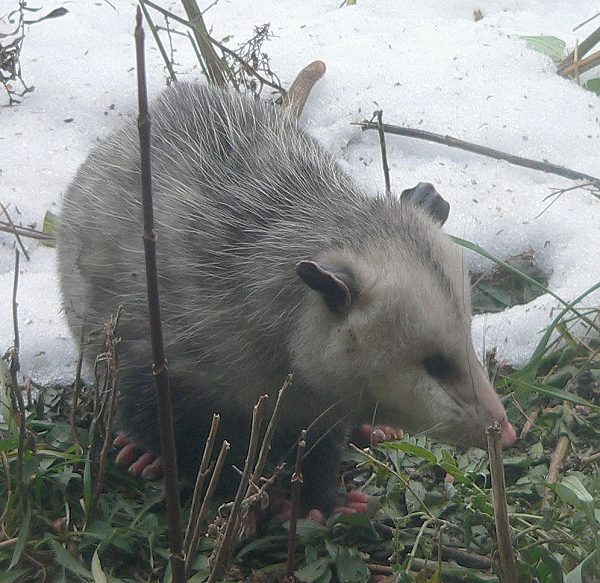 The opossum is visiting again – it shows up every day to eat the peanuts that collect under the bird feeder. A Sharp-shinned Hawk spent a few hours hunting in front of the house – I didn’t see it catch anything. And one night I lay awake and listened to a Great Horned Owl hooting for at least half an hour. 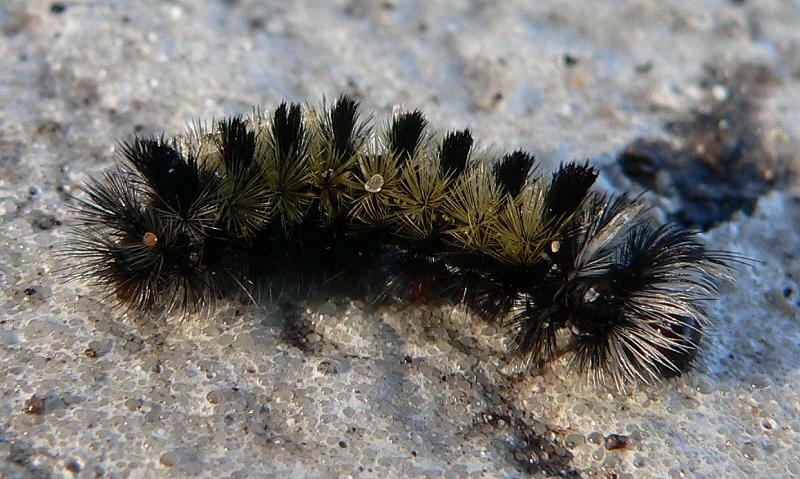 There are still some caterpillars moving, even in this cold weather. They are determined to cross the road so we see them on our morning walk, working their way across the pavement. When this photo was taken it was just barely above freezing. I’m pretty sure it’s the caterpillar of the Virginia Ctenucha Moth (Ctenucha virginica) – a beautiful day flying moth that’s common here in the summertime. There are lots of eagles flying over, catching the thermals. Most are Bald Eagles, but I saw a couple Golden Eagles – the first of the season. Golden Eagles are rare in most of Minnesota and Wisconsin, but they are fairly common in winter in the bluff country around here. I’ve finally finished processing all my seeds. The last one I did, and one of the most tedious, was Whorled Milkweed. We discovered last year that the easiest way to get the silk off the seeds was to burn it off. 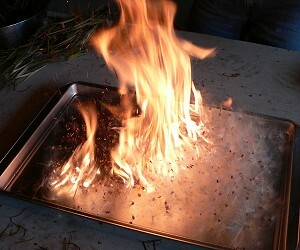 I fluff up the seeds on a cookie sheet and then light them with a match. Here’s one of the photos we took last year. It looks spectacular – the flames flare up about a foot, but only for a moment, and then they go out. 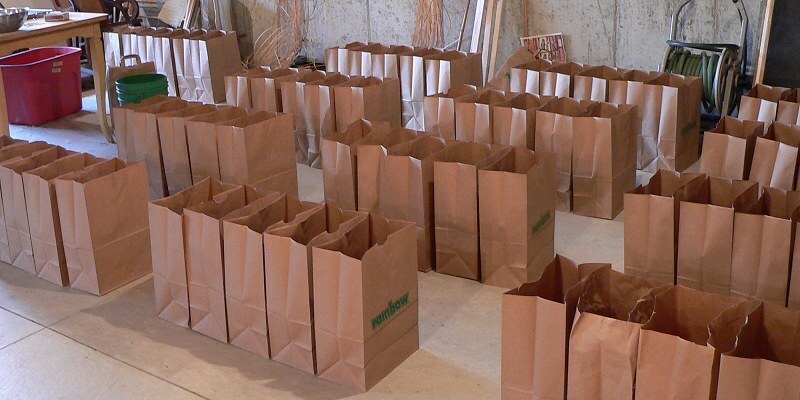 Now I need to start dividing the seeds into the 72 bags that I’ll use to plant all 72 sections. 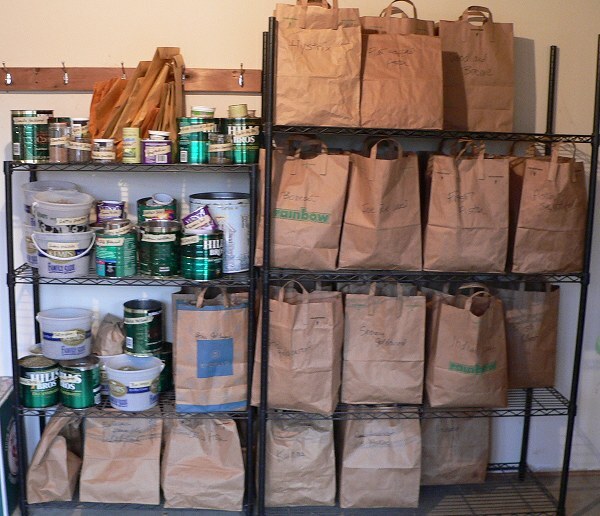 Here are all the bags, ready to go. And here are my shelves full of seeds. Mike redid our farm site as a blog – it makes it much easier to update. All the pictures are pretty old – mostly from 2000 to 2002. This winter I’ll start putting in some of the new pictures and update all our projects.